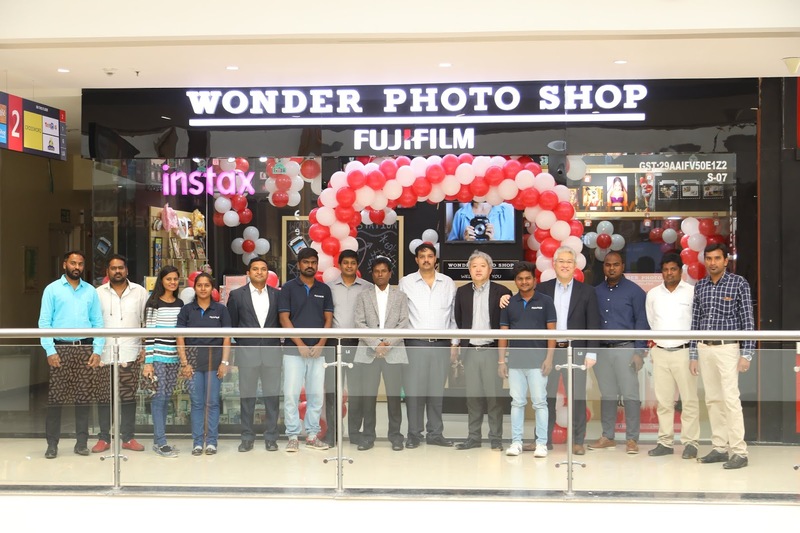 Following the success of its ‘WONDER PHOTO SHOP’ in Chennai and Mumbai, FUJIFILM India today unveiled its exclusive experiential store in Bangalore – ‘Wonder Photo Shop’, making it the third concept store of its kind for the ultimate photo printing and brand experience in India. 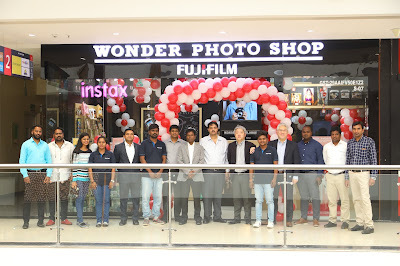 Located at Phoenix Market city, Whitefield Main Road, the latest Wonder Photo Shop in the city aims to celebrate Bangalore’s love for photography, art and culture. The store embodies a holistic vision of photography, from picture taking to printing, sharing and social networking, as a creative life experience. With the theme ‘Photo Renaissance’, the store offers an opportunity to experience an immersive and interactive retail space with Fujifilm’s state-of-the-art products and services to meet the aesthetic taste of discerning customers especially the youth. Today the consumers are passionate about exploring their creativity to print photos and organize them in a fun and imaginative manner. Staying true to its commitment to spread the joy of photo developing, Fujifilm’s Wonder Photo Shop enables customers to discover the wonder of photography and learn how they can bring their favorite photos from smartphones and cameras to life by printing, personalizing, decorating and framing their image creations based on their personal preferences and artistic palate along with unique DIY photo creations. Wonder Photo Shop will be a learning center, giving customers an opportunity to experience the various product features thus enhancing the ultimate customer experience. With the full range of Fujifilm’s instax instant print cameras and Share Printer SP-2, the award-winning line of X Series digital cameras and high-quality lenses on display to touch and try, consumers will see the true photographic heritage of Fujifilm and develop their own vision of how to creatively use their photos. This Wonder Photo Shop has been shaped in line with the brand’s philosophy of “Value from Innovation’ to create a warm, welcoming environment for guests to spend their time and discover new ways of enjoying photos and to raise the level of creative output to newer heights. A few of the exciting products and services include: Personalized Value Added Printing Products, Wonder Print Station Printings, Photo Related Goods and Accessories. The Wonder Photo Shop will be open all days from 10:30 AM - 10:00 PM.